Sorry about the wait, for those of you who waited… But Aldnoah.Extra is now available in ePub format. Hey everyone. DevilHands here bringing you all the usual PDF goodness, but this time we’re including something a little… Extra… on the side. (Yes I know I’m horrible) Thats right, the Aldnoah Extra manga is available in both an online album and as a downloadable archive. For myself it was an interesting break from the usual ebook typesetting, and therefore a bit more challenging. But in all it was a challenge I enjoyed accomplishing. The novel translation is complete! Hope you enjoy! As usual with Nano Desu projects, a PDF will be made after the translation has undergone its final edits. As for the other translations I promised on this website, I don’t have an expected time frame for them at the moment. I’m guessing they’ll get done sometime in the next month or so. This has been a fun, casual project for me. Hope you guys look forward to my next work! Hello, readers! This is Frog-kun. I worked on the Henneko and Oregairu projects here on Nano Desu. 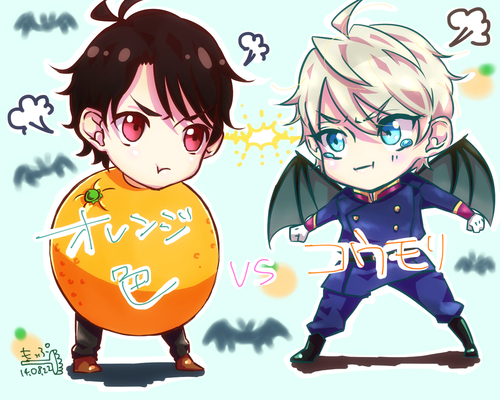 I’m pleased to present my third project: Aldnoah.Zero! This is a bit of an unusual project for the Nano Desu team. As you might be aware, Aldnoah.Zero is an anime-original project, so the light novel I have chosen to translate here is not the source material upon which the anime is based. It’s actually a prequel novel released alongside the anime Blurays. I highly recommend you watch the anime first before you read the novel. None of these materials spoil the second season, so just watching the first season is fine. Aldnoah.Zero EXTRA EPISODE 01: A manga focusing on Slaine’s backstory. Aldnoah.Zero EXTRA EPISODE 02: A novel focusing on Inaho’s backstory. Aldnoah.Zero EXTRA EPISODE 03: A drama CD featuring an alternate universe story. Aldnoah.Zero ARCHIVEZ: Cast interviews and storyboards. For now, we’ve released the first chapter of the novel. There will be a steady stream of updates on this site over the coming weeks, so please be sure to check it often!